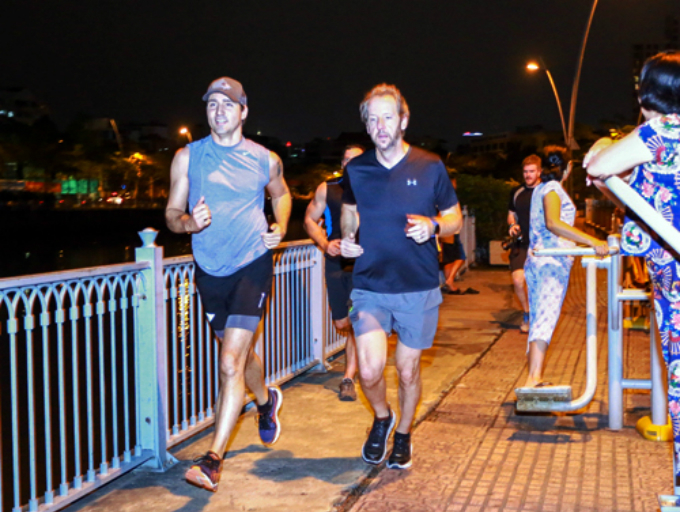 The charismatic Canadian prime minister was on an official visit before going for a jog along a canal. 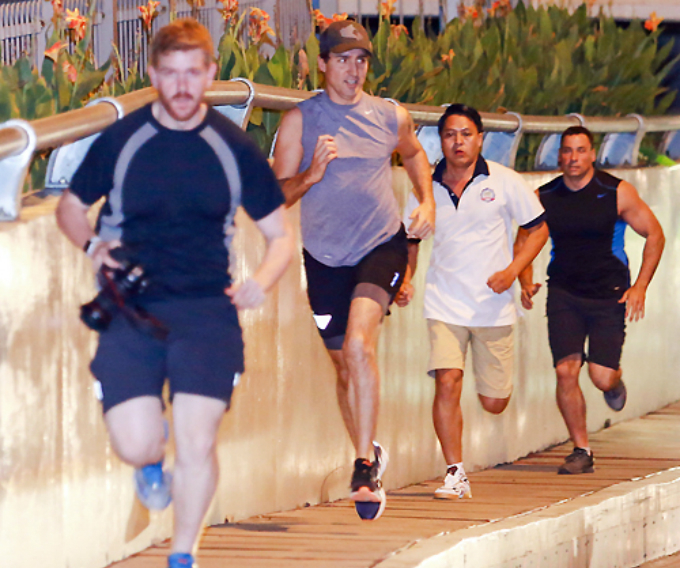 Canadian Prime Minister Justin Trudeau capped a hectic day in Ho Chi Minh City by jogging along the Nhieu Loc-Thi Nghe Canal on Thursday evening, catching locals off-guard and setting the media abuzz. 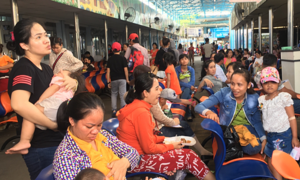 The charismatic prime minister was on an official visit to Vietnam's biggest city before going for a jog along the canal, which is considered an example of smart urban development. According to media reports, he started jogging at around 7 p.m. With his cap on, Trudeau, flanked by several of his guards, ran past many locals who were exercising outdoors. The surprise appearance of the Canadian prime minister attracted widespread attention. 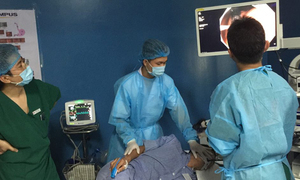 "He looks so handsome and gentle," an elderly woman who was working out along the canal said. 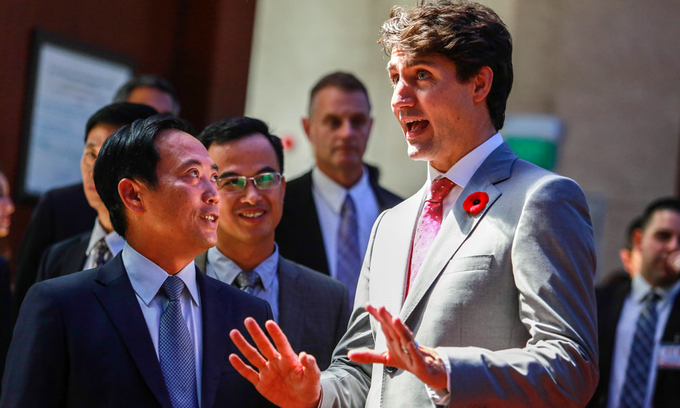 "When I realized he was the Canadian prime minister, I was in awe of such a young, handsome and down-to-earth leader," Nguyen Thi Thanh, 61, said. Last May, another photo of Trudeau jogging past a group students taking prom photos in Vacouver, Canada, also went viral, creating a made-for-meme internet sensation. 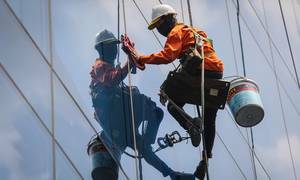 But after it was pointed out that the shot was snapped by his official photographer, his critics blasted the media for continuing to fall for what "seems to be a constant stream of PR stunts", The Guardian reported in May. 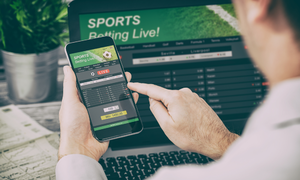 The report cited Robyn Urback, a columnist for the Canadian Broadcasting Corporation, as saying that in politics, even the most spontaneous run-ins are carefully set up. “And public photobombs by politicians in their Sunday sweats usually involve some sort of prior coordination,” she said. 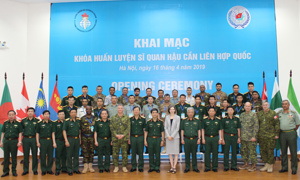 The Vietnamese press had a field day covering Trudeau's activities in Ho Chi Minh City on Thursday. 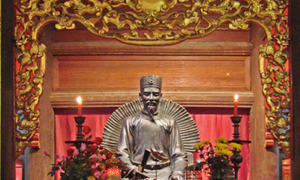 His first stop on Thursday afternoon was the city's stock exchange (HoSE). 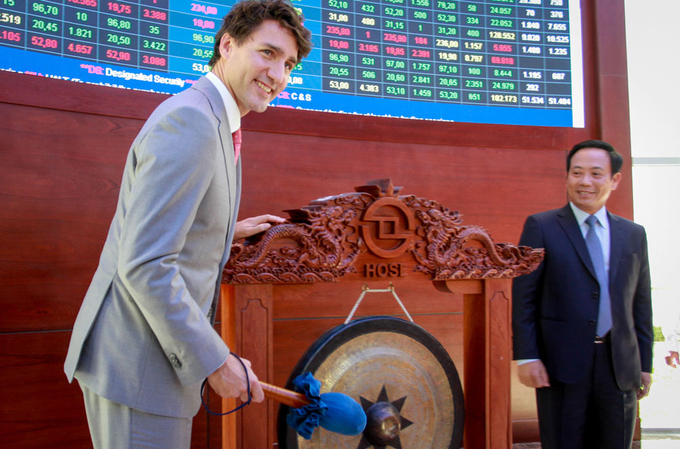 Trudeau hit the gong in the HoSE lobby three times, a ritual conducted by businesses when they list their shares on the stock exchange. 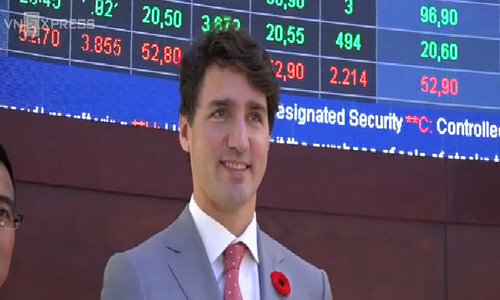 The Canadian prime minister was surrounded by a sea of reporters as he toured the stock exchange building. 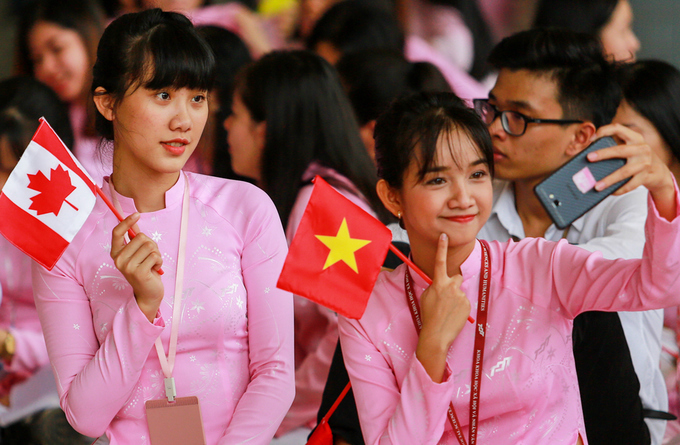 Two young Vietnamese fans welcomed Trudeau outside the building with a Canadian flag. 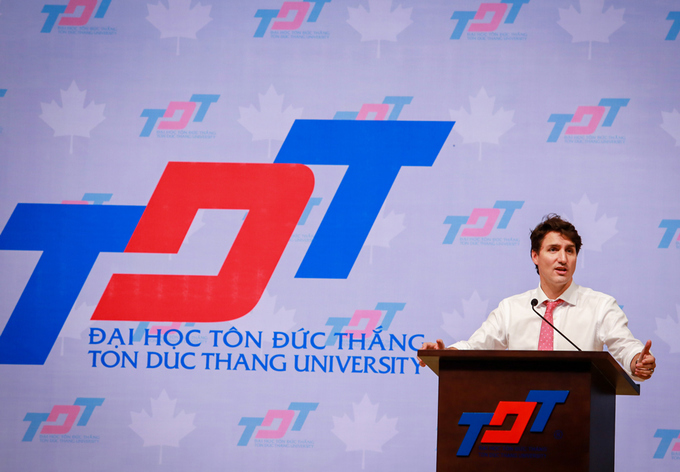 The Canadian prime minister's next stop was Ton Duc Thang University, where he interacted with hundreds of students. 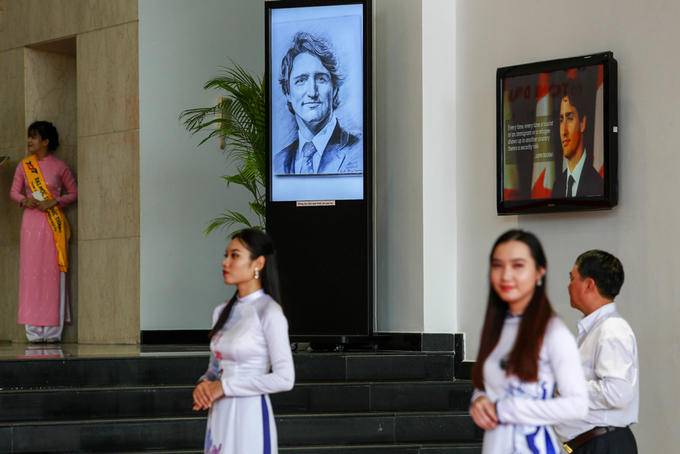 A pencil portrait of Trudeau, drawn by the university's graphic design students, was displayed in the main lobby. 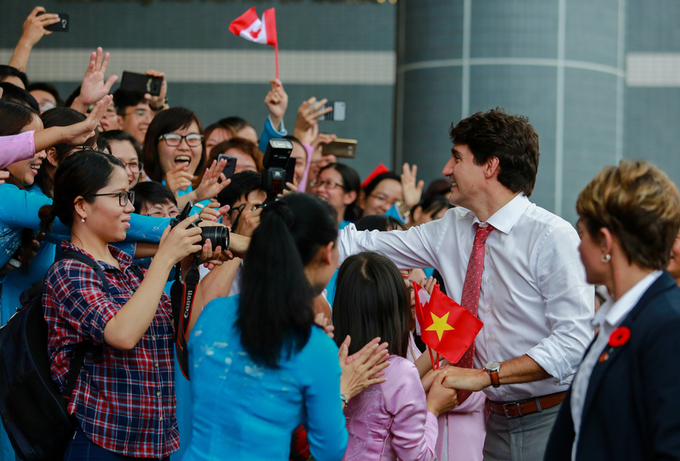 At 3 p.m., Trudeau arrived at the university, where he was enthusiastically welcomed by more than 1,400 students. "It's a great honor for me to be able to meet Canada's prime minister. 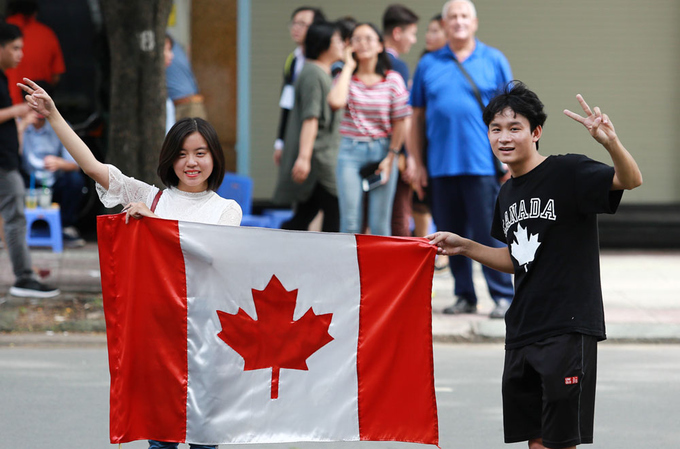 He is so handsome and elegant," Anh Nguyet, a student who had been waiting for Trudeau's arrival since 12.30 p.m., said. 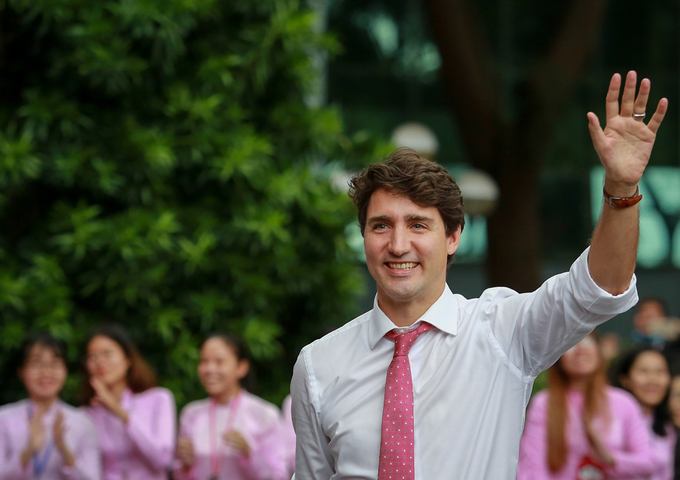 Trudeau appears to be eye candy thanks to his charisma. 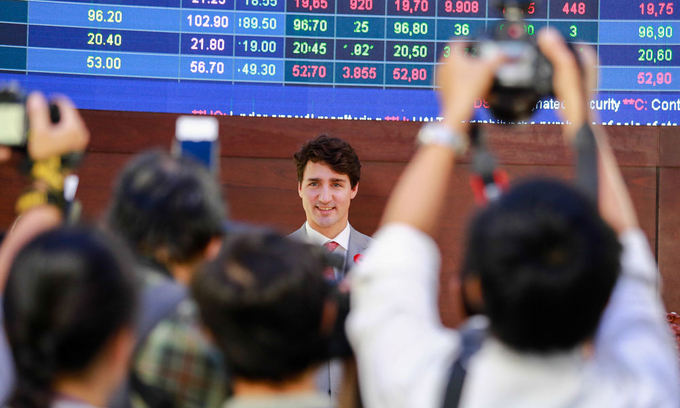 The Canadian prime minister greeted university staff and students before giving a speech about globalization, the fourth industrial revolution and start-ups. 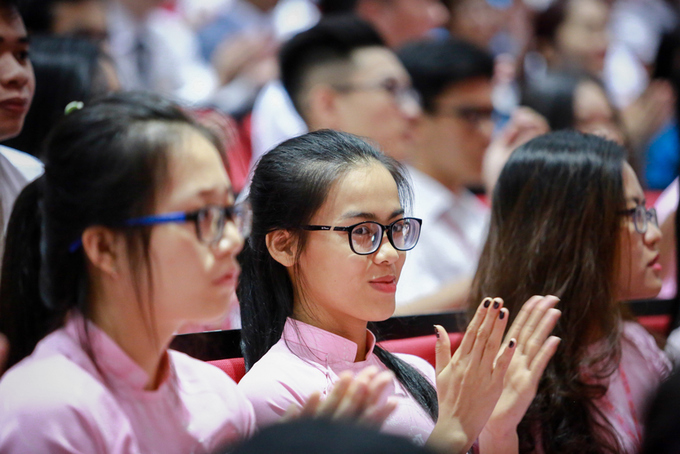 Students react while listening to his speech. 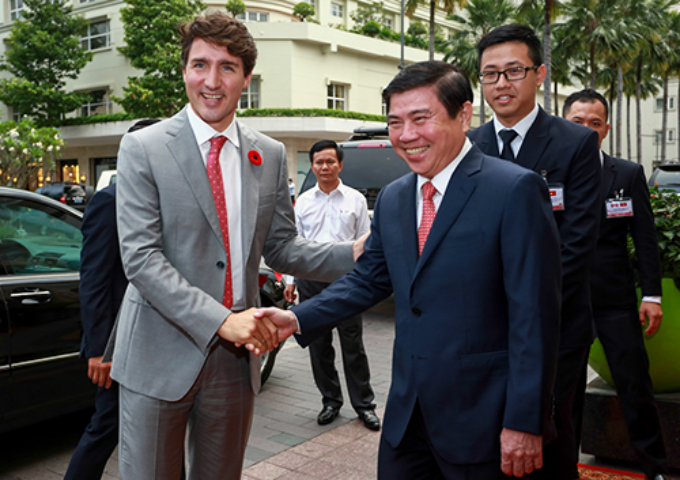 Trudeau and Nguyen Thanh Phong (R), Ho Chi Minh City's chairman, on Thursday afternoon. 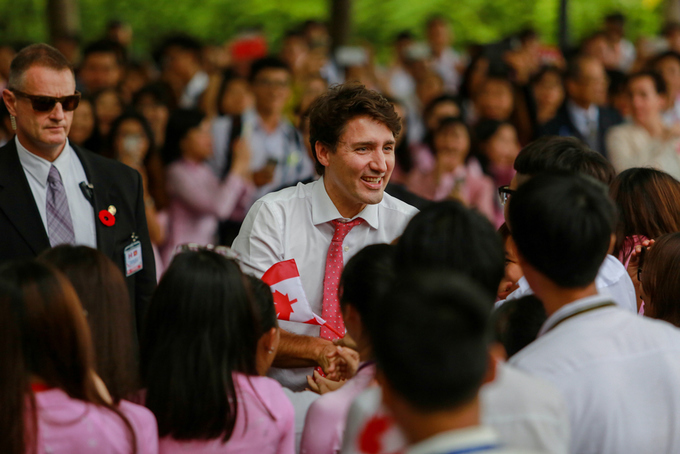 On Friday morning, Trudeau will leave for Da Nang, where he will attend the Asia-Pacific Economic Cooperation (APEC) Summit, which will also host other world leaders including U.S. President Donald Trump, China's Xi Jinping and Russia's Vladimir Putin.